Unborn 34 weeks baby is 30 cm long, is it normal? I am 34 weeks pregnant. My baby is 30 in length from head to toe. Is this normal? Your data given is not only inadequate but also erroneous. In the heading you have mentioned 30 cms., and in the question you have written “30 in.”. Both are not normal. 30 inches, that is 75 cms. is the average height of a 1 year old child, and 30 cms. 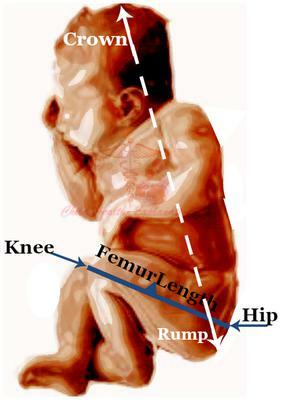 is the head to bottom (crown-rump) length of 24 weeks old fetus. 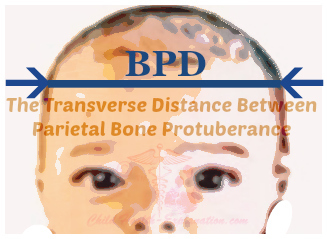 Lastly complete length of fetus is calculated on the basis of its estimated weight, biparietal diameter (BPD) and the length of femur, the thigh bone. - See illustrations given above. There are several reasons for variations fetal growth. Some are listed at Variation in Fetal Growth , and for more please consult your doctor locally.